Note-taking is more fun and productive when it's visual. 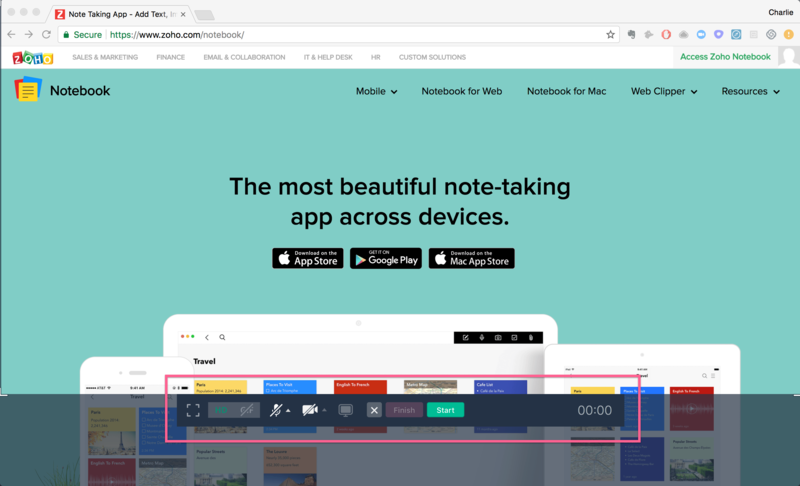 Capture visuals with CloudApp and add them to your Zoho Notebook in seconds. 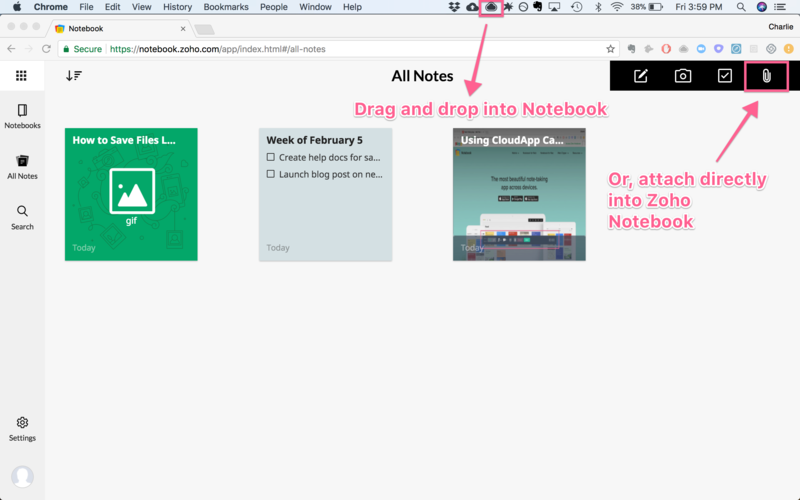 CloudApp helps you quickly snap and grab any content you love and bring it directly into a Zoho Notebook. Capture and draw on any image. Add arrows, boxes, underline, and emoji to highlight something you want to make sure you remember or that you can easily point out to someone else. 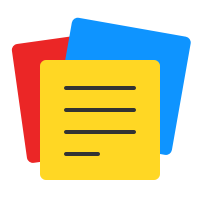 Quickly create and then drag-and-drop GIFs, videos, screenshots, and high quality visual content directly into a Zoho Notebook.